What more do you need to know? Aurora wrote it. 5.0 out of 5 starsA definite must read!!! I devoured this book and couldn't put it down. Aubrey and Denver's story made laugh and cry but I am.so happy they got their happy ending. 4.0 out of 5 starsAnother great one! Another amazing story by Aurora Rose Reynolds! This brought out so many emotions in me. I felt heart-break when Aubrey lost her chance with Denver, whom she has been in love with since she was 13. I was glad that she found some happiness with Greg and the child they had created, but knew her heart had always belonged to Denver. Then even more heart-break when we find out Greg was dying, but also hope because Greg cared enough about Aubrey to contact Denver to look out for her. He knew Denver has always been for Aubrey. A few years down the road, still nothing is spoken about how they really feel, but Denver's actions have been showing it for years. He felt she was not ready, but he was there for Aubrey and her little girl from the very beginning. But by one action from Aubrey, oooh boy this all changes. Denver's alpha male comes out with a growl! From then on Denver was all in, but he knew he had a challenge ahead of him. Aubrey has always been on the shy side and socially awkward, she didn't understand what was happening with this new Denver, but he didn't give up. I did feel a bit of frustrations with how much time passed and how reluctant Aubrey was, but in the end the HEA was all worth it. I really loved this book! This was not my favorite ARR book. I loved the previous two books but I just couldn’t connect with this one. I liked the storyline idea but it just didn’t flow well. Too many time jumps and holes that needed to be filled. I feel like we missed a lot in the four years after her baby was born. I needed more in between to understand the connection and bond Denver had with Lyra and even Bre. I’m a big fan of this author and can’t wait to see what she writes in the future. 3.0 out of 5 starsDefinitely no fireworks! This book was okay, but there was nothing exciting or remarkable about it. I finished it and immediately clicked to remove it from my Kindle. The characters weren’t very interesting, and the story, which could use some additional editing, seems to develop rather slowly. It definitely wasn’t what I have come to expect from this author. I was pretty disappointed. Wonderful second-first-chance romance! Denver & Aubrey grew up together & fell for each other in their late teen years. However, a pause too long and a misunderstanding opened Aubrey up to a different path. 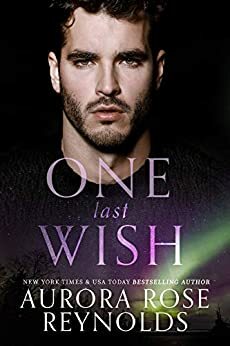 When they get their second chance, Aubrey's scared to take it, but Denver is ALL IN and has NO problems letting her know he is.